If you’re worried about the integrity of your car windows and the safety of the people inside, the highly trained specialists at National Windscreens can put your mind at ease. We can also assist clients located in neighbouring areas such as Lindendale, Wollongbar, Rous, Rous Mill, Lynwood, Alstonvale, Tuckombil, Uralba, Dalwood and Tevan. 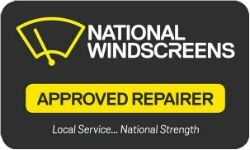 National Windscreens is the number one destination for windscreen repair and windscreen replacement services in and around Alstonville. Contact us today to learn more, request a quote or make a booking at your earliest convenience.